I’ve begun a mini obsession with Pinterest, like so many others. I’ve always been the type of girl to rip out pages of magazines. I love to have all my inspiration in one place. I still do this, but now I can store so many of my Internet inspiration online. I absolutely love, the idea! I’ve also found some blogs that I really enjoy reading from clicking on the picture. I’ve planned Baby B’s entire birthday party on Pinterest, plus a back up theme just in case I change my mind. I have so many organizing, decorating, clothing, make up ideas. If you haven’t jumped on the bandwagon, I would highly recommend doing so. It’s given me the motivation to start different DIY projects. I know there is some debate going on, about copying original works. I want to just say, if you are going to Pin or Repin something please make sure the original poster of the picture is getting credit. Especially if something is being sold on Etsy, put the price and where you can buy it. Bloggers work really hard on the crafts that they put up, so it’s only right that they get all the credit. Here are some of my favorite ideas I’ve pinned. Be sure to follow me on Pinterest so we can share inspiration! I love the idea of pumpkin "bling" this is one project I've decided to complete and will post about once complete. 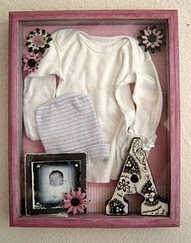 These shadow boxes are the cutest way to store your little ones clothes that they wore at the hospital or came home in. You can hang them in their room, or make it coordinate with your own room. This is another project I have planned for October, and I can't wait to do it! I've always save things that have sentimental value and this is a gorgeous way to showcase your little ones clothes that they wore in the hospital or came home in. You can keep it in their room or have it match in your own. There is a full tutorial on how to do this, and this is another project I have planned for this month.This master bedroom screams sophisticated comfort to me! The nice large bed, that's dressed beautifully, the 3 framed photos above the bed, and a beautiful chandelier. This room is perfect, and I would love to make it all mine! 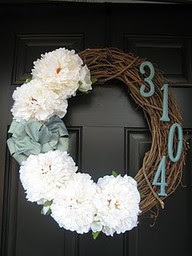 The door wreath made here is simple but chic, and I think that's why I love it so much. The blogger who made this said that all she did was wire the flowers through and then hot glue the painted letters onto the wreath. This will be my DIY project for next week, so look for that post to come. I hope everyone has an amazing weekend! I've been pretty stressed trying to find a new place. My house is in complete disarray. That mixed with a cruising 8 month old boy, makes for some hectic days! We hope to be moved in the next 2 weeks, so please keep me it your prayers that I can make it that long!! I am so addicted to Pinterest too! I just love how easy it is to collect and store my favourite images. Your pins are great! I have posted about a few of my favourite pins on my blog today and if you have 5 Minutes to spare please pop by! I would be honoured if you could also link up your post to my Pinning and Singing Linky Party as this post is just fabulous! 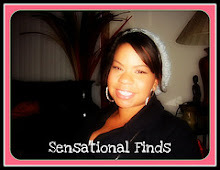 I have also created a Pinning Bloggers Master List at my blog that you might be interested in joining.